A bottle of wine or Scotch is an excellent gesture for holiday gifting. But if you’re looking to go above and beyond for your favorite champers partner in crime or fiance that loves a good Sunday brunch Bloody Mary, it’s time to step it up. We suggest thinking outside of the box this year. We’re talking an app-controlled bartending system that helps you create the perfect cocktail or a deck of wine cards that will teach you everything you need to know about varietals. And in the case you have no idea where to start, well, here are 12 ideas that we’re all about this year. Always dreamed of having bartending skills, but don’t have the time to take a class? No worries. 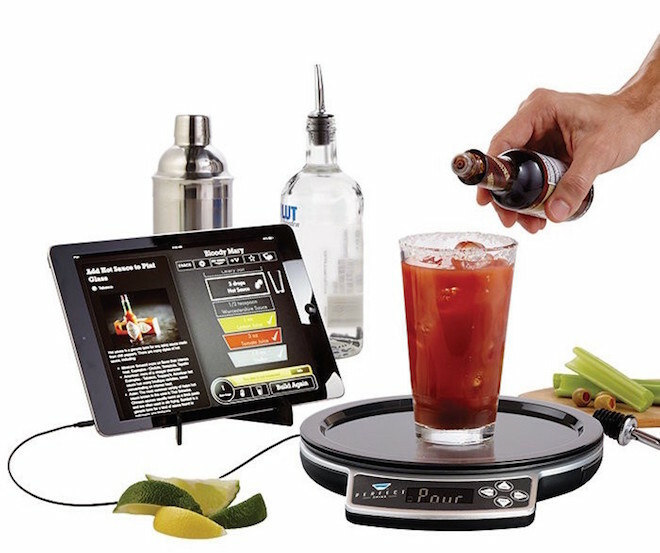 This app-controlled system will have you mixing up tasty concoctions in no time. All you have to do is choose your drink of choice, place the glass on the scale, and start pouring ingredients — the app will tell you when to stop! Custom swizzle sticks? Yes, please! 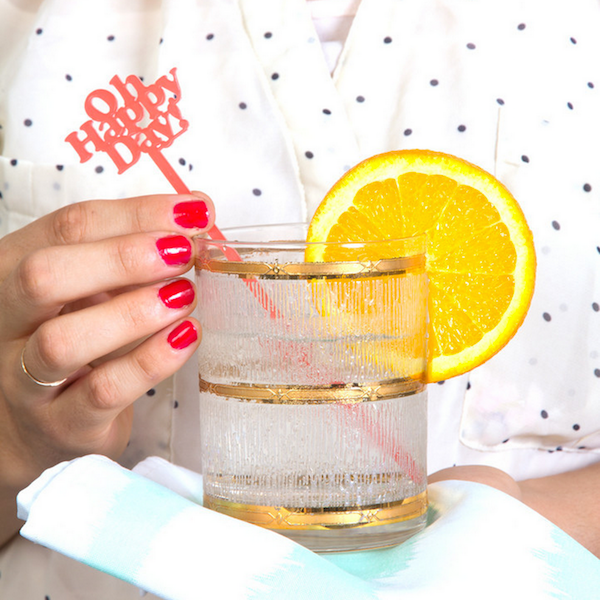 Pick your favorite color and phrase, and create one-of-a-kind cocktail stirrers at Brit + Co. They’ll add a bit of pizazz to any cocktail glass. And plus, you can reuse them over and over again, making them the perfect gift idea for anyone that owns a stylish bar cart. These cocktail glasses are super fun. Each rocks glass has four recipes etched on — one on each side — so it’s basically like giving someone glassware and a recipe book all in one. They’ll teach you how to make proper cocktails, including classics like a mojito, Tom Collins, Bloody Mary, Salty Dog, and many more. This tee from Southward Apparel is perfect for your glam BFF that loves sipping on champagne. It’s super comfy, making it a staple for lounging around the house with a bottle of bubbly — or dress it up with a black blazer and your favorite skinny jeans. 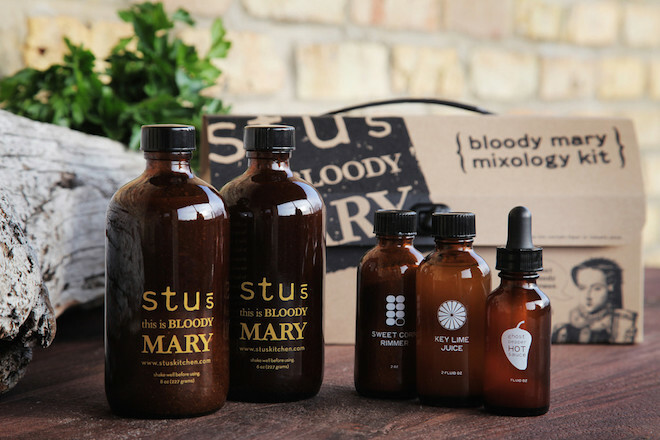 There’s nothing worse than a Bloody without a kick, which is why we’re addicted to Stu’s uh-mazing mix. This kit comes with two bottles of their tasty Bloody Mary mix concentrate, Ghost Pepper hot sauce, and key lime and sweet corn rim salt. Never let your friends down at Sunday brunch again. 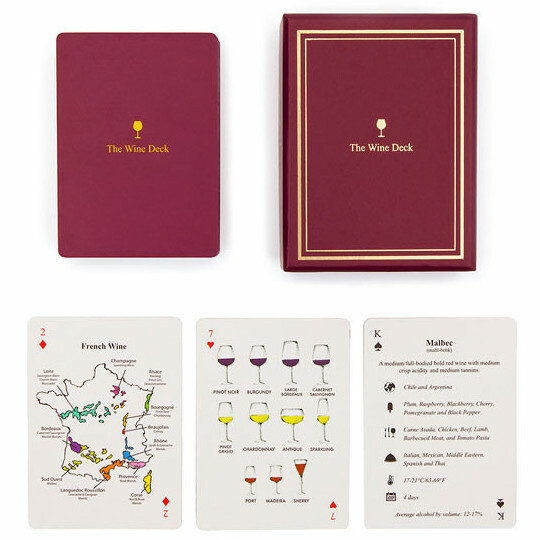 For the wine connoisseur in your life, we recommend these fun playing cards. They’ll help you learn tons about different wine regions, vintages, reserves, and more. Ladies night in just got that much better. 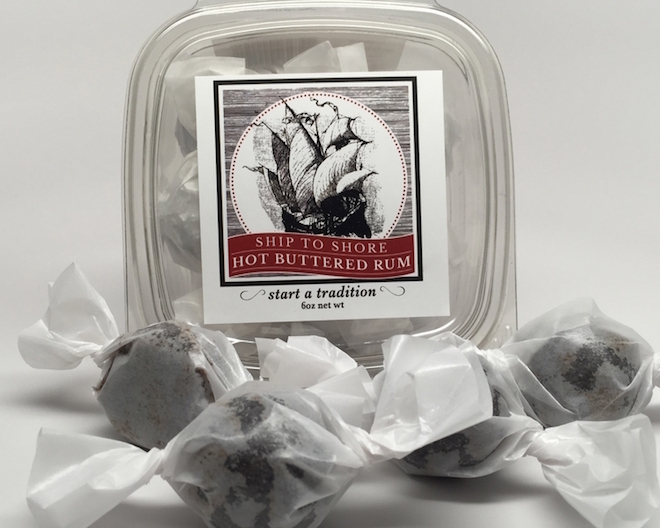 We love sending these hot buttered rum balls to friends during the holidays. It’s way easier than shipping bottles of booze, and it’s way more fun too. Pop a ball in a mug, add 2 ounces of amber rum, and 8 ounces of water and boom – you’ve got yourself a warm, spicy winter beverage. Thanks to Mason Shaker, airplane cocktails just got way more enjoyable. 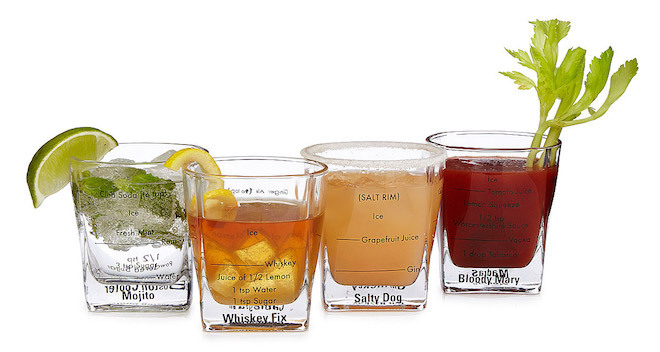 They currently offer three different kits: old fashioned, moscow mule, or gin and tonic. 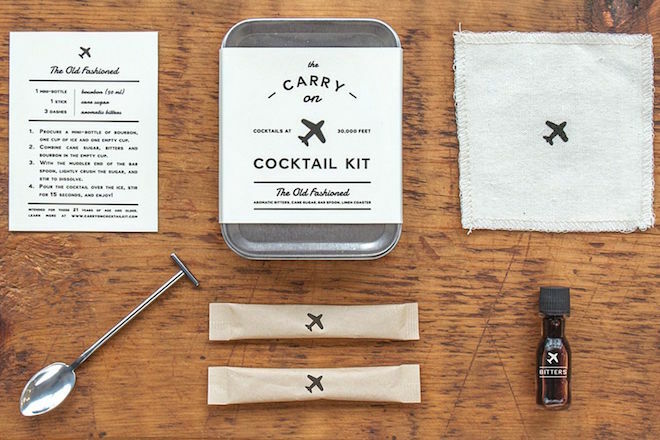 Each kit comes complete with all the accompaniments for a proper cocktail in air. We’ll be the first to agree that beer tastes way better out of a frosty mug. 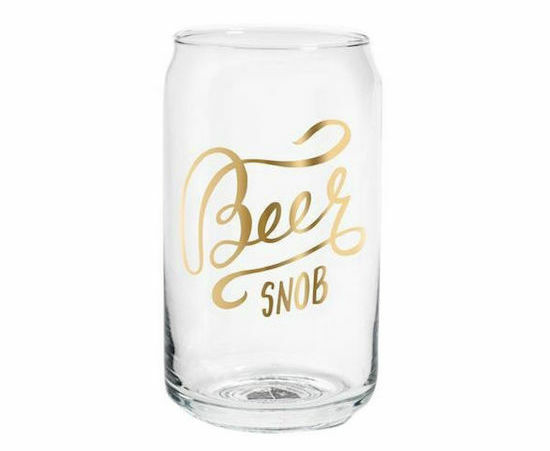 But this chic Beer Snob beer can glass takes beer drinking to a whole new level. It’s an ideal gift for those looking to keep up their chic hostess with the mostest status while enjoying their favorite brewski. Tea that tastes like your favorite vino? Yes, it’s a real thing. 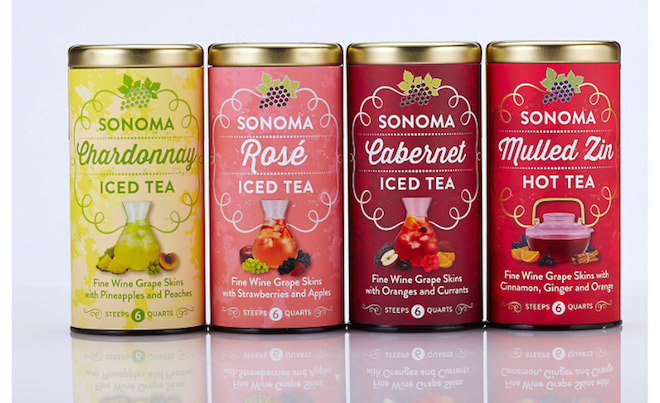 The Republic of Tea has just released a Sonoma tea collection that contains the same awesome antioxidants from the wine grape skins, and most importantly, taste like your favorite wine. Choose from Chardonnay, Rose, Cabernet, and Mulled Zin (a hot option for winter!). They’re great for those looking for a night off. BONUS: If you’re feeling extra crafty, we suggest making this uh-mazing cranberry jam from gourmet preserve expert and author of Saving the Season, Kevin West. 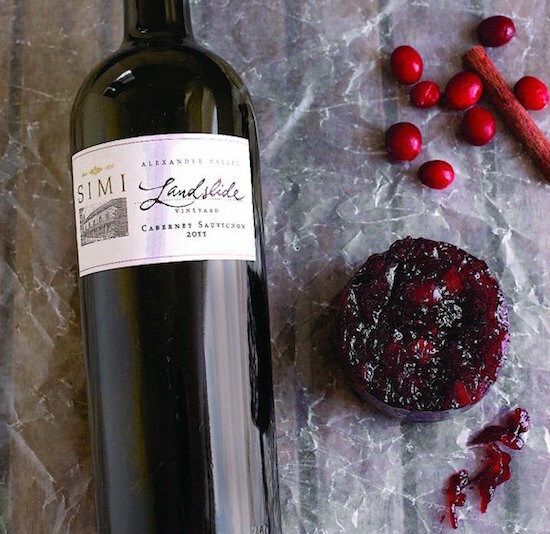 It’s spiked with SIMI Alexander Valley Landslide Vineyard Cabernet Sauvignon and makes for a hip and thoughtful gift for any wine lover in your family. 1. Combine the cranberries, wine, cinnamon sticks, and zests in a small pot. Bring to a boil and cook over medium heat for 5 minutes, or until the berries burst and collapse. 2. Stir in the sugar and nuts. Stirring constantly, reduce the mixture over medium heat for 5 minutes, or until thickened to your liking. To test the set put a half-teaspoon of hot jam on a chilled saucer in the freezer for 60 seconds. If it’s runny when cold, reduce for a minute or two longer. 3. Pour the hot jam into jars or any other airtight container. Store the cooled jars in the refrigerator for up to a month.